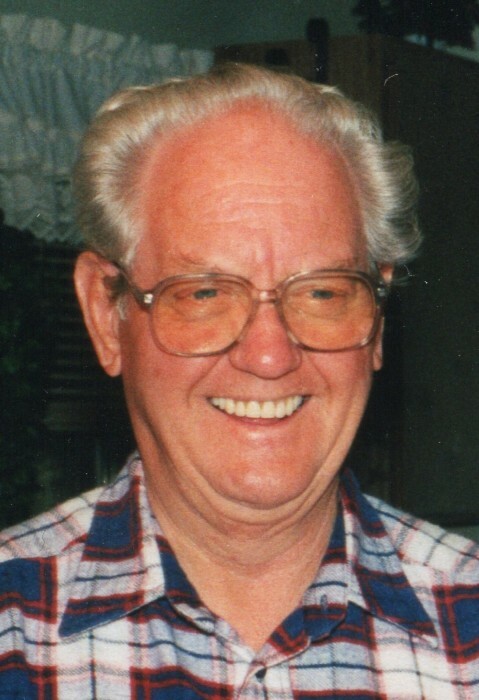 Morgan – Peter Gail Spendlove, 89, died Saturday, April 6, 2019 in Morgan, Utah. He was born March 3, 1930 in Milton, Utah to Clifford and Laura Rock Spendlove. He married Eloise Clark Jackson May 1, 1967 and they later solemnized it in the Ogden Temple May 1, 1971. Pete served in the US Navy on the USS Bryce Canyon for four years during the Korean War. He worked as an electrician and an industrial radiologist at Hill Air Force Base until his retirement in 1985. He also was a very accomplished father and grandfather at which he never retired. He also loved to garden and enjoyed hunting and fishing. He is survived by all his children, Vicki (Ron) Fronk, Ruskin, FL; Neil (Maria) Jackson, Troutdale, OR; Tena (Dave) Holliday, Grand Junction, CO; Kim Brown, Morgan, UT; Randy (Sharon) Jackson, West Jordan, UT; Tod (Michelle) Spendlove, Roy, UT; 19 grandchildren, 27 great-grandchildren and 3 great-great-grandchildren. He is also survived by his sister Judy Johnson of Milton, UT. He was preceded in death by his dearly beloved wife Eloise; his siblings Marne, Joyce, Mark, Neil, Raedell; son-in-law Richard Brown. Thanks to all the staff at Applegate Homecare and Hospice (Haley, Tisha, Brooke, Michelle, Cecilia and Dr. Firth) for their attentive care. Funeral services will be held Saturday, April 13, 2019 at 1:00 pm at the Morgan Stake Chapel, 355 North 700 East, Morgan, Ut. Viewing will be Friday from 6 to 8 pm at Walker Mortuary, 45 West 200 North, Morgan, UT and Saturday from 11:45 am to 12:45 pm at the church. Interment will be at the Milton Cemetery.